Although recorded in 1983, "BLIND WILLIE MCTELL" was not officially released until 1991 and was not performed by Bob Dylan in concert until 1997. I saw it first in Essen, Germany on June 16th 1998, where this gem had not even been printed on the cue sheet. In September 2000 I saw Bob perform "BLIND WILLIE MCTELL" again, in Cardiff, Wales, where Dylan the band leader beckoned Charlie Sexton to extend his very nice guitar solo preceding the last verse: "God is in his heaven ..."
This was the first of three times that fall, where this statement was followed up two songs later by Dylan's confession, that he keeps on tryin' to get there, before they close the door. In 2001 "BLIND WILLIE MCTELL" has been performed four times, in Melbourne, Australia; in Montreux, Switzerland; in Springfield, Illinois; and in Spokane, Washington. In 2002 "BLIND WILLIE MCTELL" appeared in three European shows in May, in Rotterdam, in Manchester, and during the first London show. It sure has been a pleasure to be present during both of these British performances of this brilliant song, which Bob gave us within 49 hours. The next appearance of "BLIND WILLIE MCTELL" was in August 2002 in Canada, when Bob played it in Halifax. In October 2002 in Las Vegas "BLIND WILLIE MCTELL" was treated to its first acoustic live performance. Half a year later, during both shows in Houston, "BLIND WILLIE MCTELL" had its first two appearances in 2003, with Bob on piano and electric guitar (with the audience cheering as Bob sang: "I traveled through East Texas"). Six days later it was performed in Nashville, without guitar, only on piano. On the next day "BLIND WILLIE MCTELL" appeared in Louisville, for the first time ever in the same set as "SAVING GRACE". In May, nine days later, Bob performed "BLIND WILLIE MCTELL" in Atlantic City; and next, five days after that, in Asheville, North Carolina, where it was preceded by "DIGNITY", which just had followed "EVERY GRAIN OF SAND", making this a wonderful string of three of the finest songs written in the eighties. Two days later "BLIND WILLIE MCTELL" appeared during a shorter festival set in Birmingham, Alabama. In July 2003 "BLIND WILLIE MCTELL" was performed in West Valley City, Utah; and then in Ketchum, Idaho. In August it appeared in Columbus, Ohio, and in Northampton, Massachusetts. More than three months later, in London, in November, Bob Dylan performed "BLIND WILLIE MCTELL" during the last show of his finest European tour since 1981. The first appearance of "BLIND WILLIE MCTELL" in 2004 was at the Vic Theatre in Chicago, for the second time in the same set as "SAVING GRACE". Only three days later, in St. Paul, "BLIND WILLIE MCTELL" was performed again. Five days after that, in Detroit, "BLIND WILLIE MCTELL" and "SAVING GRACE" shared another set list. Ten days further on, "BLIND WILLIE MCTELL" appeared in Boston. In April, at the last of three shows in Washington D.C., "BLIND WILLIE MCTELL" was performed during a concert which had started with the first "GOD KNOWS" since 2001, and which also included gems like "TRYIN' TO GET TO HEAVEN", "I SHALL BE RELEASED", and "I BELIEVE IN YOU". During the third show in June, in Atlantic City, "BLIND WILLIE MCTELL" was performed again in the same set as "GOD KNOWS", "TRYIN' TO GET TO HEAVEN" and "I SHALL BE RELEASED". Five days later "BLIND WILLIE MCTELL" appeared during the Bonnaroo 2004 Music Festival in Manchester, Tennessee. During the European tour in 2004 "BLIND WILLIE MCTELL" was performed in Córdoba, once more in the same set as "GOD KNOWS" and "I SHALL BE RELEASED". In August, in Richmond, "BLIND WILLIE MCTELL" appeared again in the same show as "GOD KNOWS", "I SHALL BE RELEASED", and "TRYIN' TO GET TO HEAVEN". Six days later, in Lexington, Kentucky, "BLIND WILLIE MCTELL" was performed once more in the same set as "I SHALL BE RELEASED" and "I BELIEVE IN YOU". During the fall tour of 2004 "BLIND WILLIE MCTELL" appeared at first in Berkeley, California, in the same set as "GOD KNOWS", "FOREVER YOUNG" and "TRYIN' TO GET TO HEAVEN". The next "BLIND WILLIE MCTELL" was performed two weeks later in De Kalb, Illinois, this time in the same show as "GOD KNOWS", "FOREVER YOUNG" and "NOT DARK YET". The next performance of "BLIND WILLIE MCTELL" was in Columbus, Ohio, two days after the US election, as part of a brilliant set list which also included "DIGNITY", "TRYIN' TO GET TO HEAVEN", "EVERY GRAIN OF SAND", and the fourth ever performance of "PO' BOY". The first appearance of "BLIND WILLIE MCTELL" in 2005 was in March in Denver, in the same show as the first "SAVING GRACE" of 2005. Two weeks later, in Mt. Pleasant, Michigan, "BLIND WILLIE MCTELL" was performed again, this time in the same set as "SAVING GRACE" and "FOREVER YOUNG". Five days after this, during the second Boston show, "BLIND WILLIE MCTELL" appeared together with "FOREVER YOUNG" and "EVERY GRAIN OF SAND". And twelve days later, in New York, "BLIND WILLIE MCTELL" was performed in the same show as "SEÑOR", "A HARD RAIN'S A-GONNA FALL", and "MISSISSIPPI". During the May to July stadium tour of 2005, "BLIND WILLIE MCTELL" was performed four times. In North Carolina it appered together with the typical Sunday songs for this tour, "GOD KNOWS" and "TRYIN' TO GET TO HEAVEN", and in Massachusetts together with the only "EVERY GRAIN OF SAND" of the tour. Four more times "BLIND WILLIE MCTELL" was performed in July 2005, in four consecutive concerts, starting with the "Amazon-Show" in Seattle, which Bob chose to close with a marvelous "I SHALL BE RELEASED" duet with Norah Jones. In Victoria, "BLIND WILLIE MCTELL" shared another set list with "GOD KNOWS"; and in the first of the Vancouver shows it was performed together with "SHOOTING STAR". The next appearance of "BLIND WILLIE MCTELL" was in Oslo, Norway, during the second show of the European fall tour of 2005. Three more times this song was performed in Europe that fall, in Hamburg, in Rotterdam, and in Nottingham. In Rotterdam I was present during the performance of this song, and "BLIND WILLIE MCTELL" was the first peak of the show for me, well sung by Bob, and nicely accompanied on Banjo by Donnie. In a world where levees are not fortified to stand hurricanes, because funds are channelled elsewhere to fight wars, it is very fitting to hear Bob Dylan sing: “… this land is condemned all the way from New Orleans to New Jerusalem … God is in heaven, and we all want what's his, but power and greed and corruptible seed seem to be all that there is …”. The first performance of "BLIND WILLIE MCTELL" in 2006 was during the second of two shows in Kansas City, Missouri; the next one was already three days later, in Des Moines, Iowa, and four days after that "BLIND WILLIE MCTELL" appeared in the second of two shows in Memphis, Tennessee. In Asheville, North Carolina, "BLIND WILLIE MCTELL" was performed again, and one member of the audience reported directly after the show: "Blind Willie McTell was the biggest highlight for me. The organ adds a whole new dimension to this song....beautiful and haunting and worth the price of admission alone." The next performance of "BLIND WILLIE MCTELL" was one I was again honored to witness myself, here in Cork, Ireland, at the second show of the European tour of 2006. It was the first appearance of this gem on the Emerald Isle, and was delivered very focused and with great phrasing, especially during the last verse. One of the peaks of a very fine show. The second appeareance of "BLIND WILLIE MCTELL" during the European tour was five days later, at the Roskilde Festival in Denmark; and in mid July, in Le Cannet, France, it was sung by Dylan in the same concert as the second "EVERY GRAIN OF SAND" of the tour. One week later, in Cosenza, Italy, "BLIND WILLIE MCTELL" was included in the last concert of the European summer tour of 2006. The next appearance of "BLIND WILLIE MCTELL" was exactly one month later, in Columbus, Ohio; before one week after that, in Washington, Pennsylvania, "BLIND WILLIE MCTELL" was performed again in the same set as "EVERY GRAIN OF SAND". In September "BLIND WILLIE MCTELL" was performed in Cooperstown, New York. During the fall tour of 2006 "BLIND WILLIE MCTELL" was performed in two of the 29 shows, in Madison and Boston; and during the European spring tour of 2007 "BLIND WILLIE MCTELL" appeared only once, during the first London show. The second performance in 2007 of "BLIND WILLIE MCTELL" was during the North American summer tour, in Bethel, New York; and the third appearance of "BLIND WILLIE MCTELL" in 2007 was in Melbourne, Australia. Two more times in 2007 Bob Dylan chose to perform "BLIND WILLIE MCTELL", both in October, in Cincinnati and Chicago. In February 2008, "BLIND WILLIE MCTELL" was performed in Dallas, Texas, during the second of three warmup shows for Dylan's Latin America tour; and in June 2008 it appeared in Trento, Italy, during Dylan's fine European tour. Four more times "BLIND WILLIE MCTELL" was performed in 2008 in North America, once in August, and three times in November, and all four in the same set as "I BELIEVE IN YOU". In 2009 "BLIND WILLIE MCTELL" appeared four times in the spring in Europe (the latest one of which I had the pleasure to witness in Dublin), and then three times in the summer in the US. The first performance of "BLIND WILLIE MCTELL" in 2010 was in March, in Tokyo, Japan; and during the European tour of 2010 "BLIND WILLIE MCTELL" appeared in five of the 25 shows. Five more times "BLIND WILLIE MCTELL" was performed in the US from August to November 2010. In April 2011 Dylan chose to perform "BLIND WILLIE MCTELL" in China, in Hong Kong, in Australia, and in New Zealand; and in August 2011 "BLIND WILLIE MCTELL" appeared six times in the US, in an amazing new version with a long drawn out harp ending. Seven more times this new version of "BLIND WILLIE MCTELL" was performed in Europe in the fall of 2011. In January 2012 Bob Dylan and his band performed a very nice version of "BLIND WILLIE MCTELL" during the Critics' Choice Movie Awards at the Hollywood Palladium in California as a tribute to Martin Scorsese. 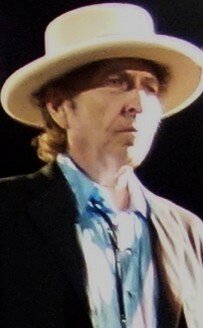 In April and May of 2012 Bob Dylan chose to perform "BLIND WILLIE MCTELL" four times during his Latin America tour; and during the European summer tour of 2012 it appeared twice, in Germany, and in France. During the North American summer tour of 2012 "BLIND WILLIE MCTELL" was performed three times; and during the North American fall tour of 2012 "BLIND WILLIE MCTELL" appeared another three times. In April and May 2013 Bob Dylan chose to perform "BLIND WILLIE MCTELL" at all 23 concerts of his spring tour; and from June to August 2013 "BLIND WILLIE MCTELL" appeared in 26 of 27 shows of Bob Dylan's summer tour. So 49 out of 50 North American audiences got to hear this gem in 2013. During the European autumn tour of 2013 Dylan chose to perform "BLIND WILLIE MCTELL" during the first of his two Stockholm concerts, where I was glad to be a part of the audience, as I had not seen it live since May 2009 in Dublin. A few weeks later Dylan chose to include "BLIND WILLIE MCTELL" also in the first of the two "mix up" shows in Rome in November. In 2014 Bob Dylan chose to perform a very fine version of "BLIND WILLIE MCTELL" during his first show of the year, in Tokyo, Japan. The next appearance of "BLIND WILLIE MCTELL" was in Norway, a few months later, during the European tour of 2014. One year later, during the European summer tour of 2015, "BLIND WILLIE MCTELL" was performed five times, the last of which I witnessed myself from the rail in Lörrach. The next appearance of "BLIND WILLIE MCTELL" was almost two years later, during a festival set in Dover, Delaware, in June 2017. The fool says in his heart, "There is no God." They are corrupt, doing abominable iniquity; there is none who does good. God looks down from heaven on the children of man to see if there are any who understand, who seek after God. They have all fallen away; together they have become corrupt; there is none who does good, not even one. God is in heaven and you are on earth.